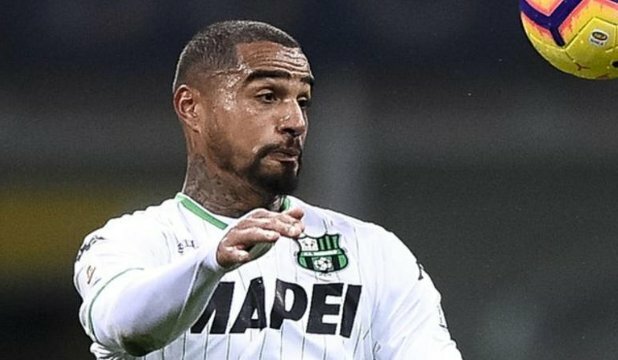 Kevin-Prince Boateng's unique career includes switching national teams from Germany to Ghana but moving to Barcelona is a bigger surprise. I like to think Kevin-Prince Boateng was as surprised as anyone when rumours emerged that Barcelona was interested in his services. The Spanish giants have gone on to secure the player on a €2 million loan with an option to make the deal permanent for £7 million at season's end. Boateng moved from Eintracht Frankfurt to Sassuolo in the summer. He featured for three club sides in the past four campaigns. That includes filing out for Las Palmas in the Spanish top flight two seasons ago. He scored 10 goals in 28 La Liga games in 2016-17 then left for Eintracht Frankfurt in the Bundesliga. Six goals in 31 matches during his time there might have led you to guess he'd follow manager Niko Kovac to Bayern and join up with half-brother Jerome but no. Instead, he continued his nomadic trek through Europe's top four leagues by trying on the kit at Sassuolo. While it's long been apparent any club might be a destination for KPB, it's astounding Barcelona would be interested. At 31, Boateng's best days on the pitch are [supposedly] behind him. You'd anticipate interest from mid-table clubs looking for a bit of experience and leadership in the clubhouse, yes, but the Spanish giants elected to provide Arturo Vidal with a bridge partner. In a transitional season in which Barca struggles to separate itself from pursuit atop the La Liga table, Boateng's experience is a commodity Ernesto Valverde can use. The manager stated the need to replace Munir El Haddadi who left for Sevilla earlier in the January transfer window. The former Ghanaian international has played at the top level, representing AC Milan in the Champions League and the Black Stars in the World Cup. Time hasn't yet dulled his edge. Four goals and an assist came his way at Sassuolo this term. While he hadn't found the back of the net since October, he was a key member of Roberto de Zerbi's team. He nearly ended his dry run with a point-blank header that drew a spectacular save from Samir Handanovic in Inter's goal on the weekend. The shock signing of the January window? Kevin-Prince Boateng has joined his 10th club.... and it's Barcelona. Barcelona need squad depth in the season's second half. Boateng's ability to play in different positions is a huge advantage. He can play as a midfielder, winger, supporting striker and even as the main man upfront as he did for Las Palmas. His cameos will be crucial to Barca's quest to retain the league title and lift the Champions League again at long last. The 31-year-old knows how to close out games. While just a short-term solution to Valverde's rotational issues, Boateng is an excellent one. A long-term replacement for the ageing Luis Suarez can be found with much less urgency this summer or next. From this point of view, Valverde's choice becomes easier to understand. If Boateng's recent performances are anything to go, Barca will get good value for their money. He's already raring to go. After being reminded of past comments about preferring Real Madrid to Barcelona, he waved the matter aside, claiming he is looking forward to helping Barca win the next Clasico at the Camp Nou. While not one to overstay his welcome, Kevin-Prince Boateng's a workhorse who provides quality and commitment wherever he goes.